Hi all, I'm usually an Ork player but I have a sideline in Epic armies and I'm taking part in the Tale of Epic Gamers over on TacComms, painting a 6mm Tyranid army this year. 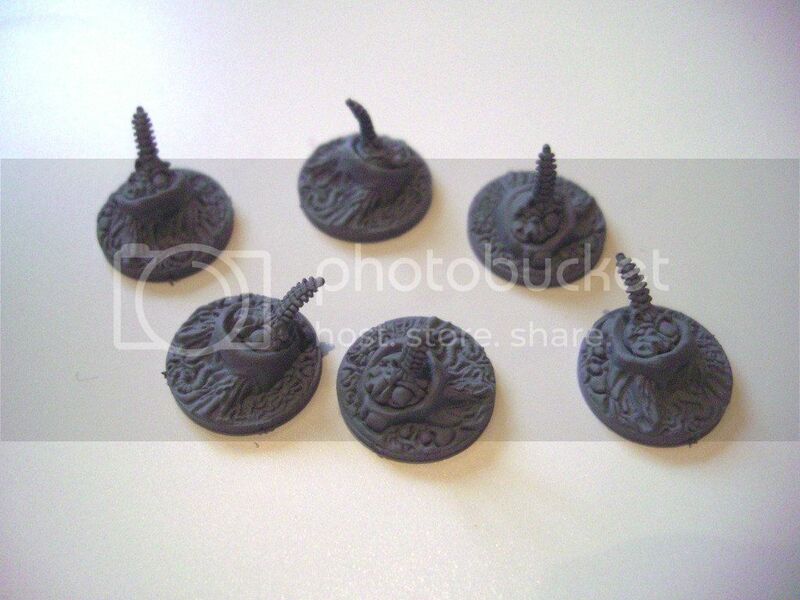 I'm thinking about what to use for objectives - they have to be small, preferably fitting onto a 25mm base. I was wondering about some of the extra biomorph pieces that come with Gaunts - would they work? Ideas all welcome. Genestealers come with a sac like pustular looking bit, that works well. You could create your own bitz box bashed tyranid creature and call them objectives that they Tyranids want and the enemy wants because of a new genome, etc, etc. Making your own spires works well, make them look like the Forgeworld spires, just smaller. What would you make spires from? Scything talons? I have these which would paint up nicely and may be the sort of thing you are looking for. They are based on 25mm bases, and sprayed in grey primer ready for painting.